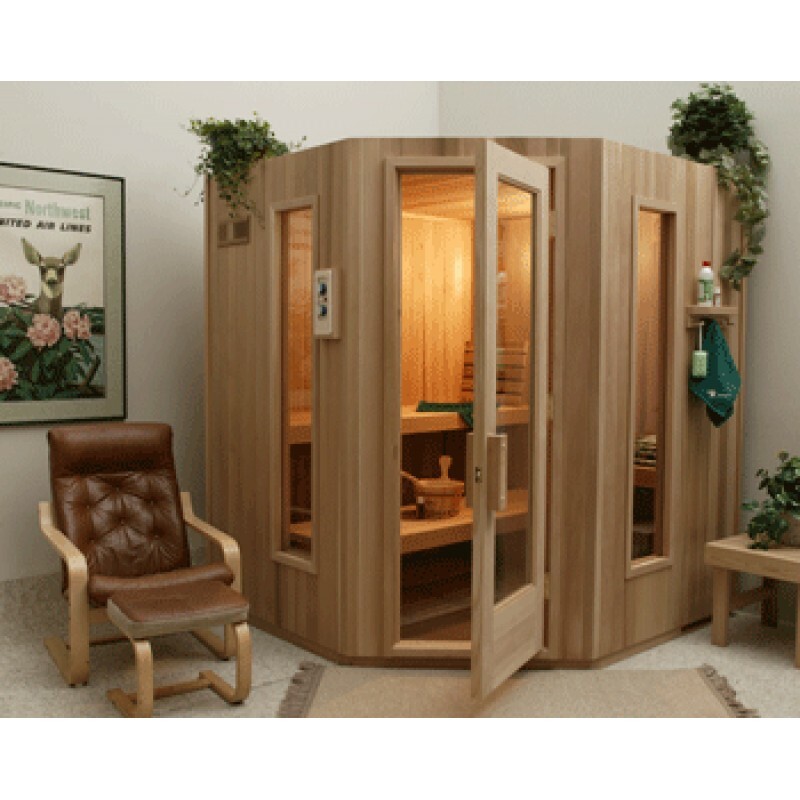 5 Sided Panel Built Prefabricated Sauna Room, 84" x 84" x 84" OD with 3 benches, FLB-80 with built-in controls. 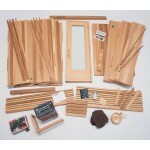 Includes (2) 12" x 60" Sidelight windows and cedar exterior on front 3 sides as standard. Our newest product from our prefab department is the exclusive five-sided modular Sauna. The full glass door and clear glass windows in the two side walls offer a spacious open feeling for the bather. 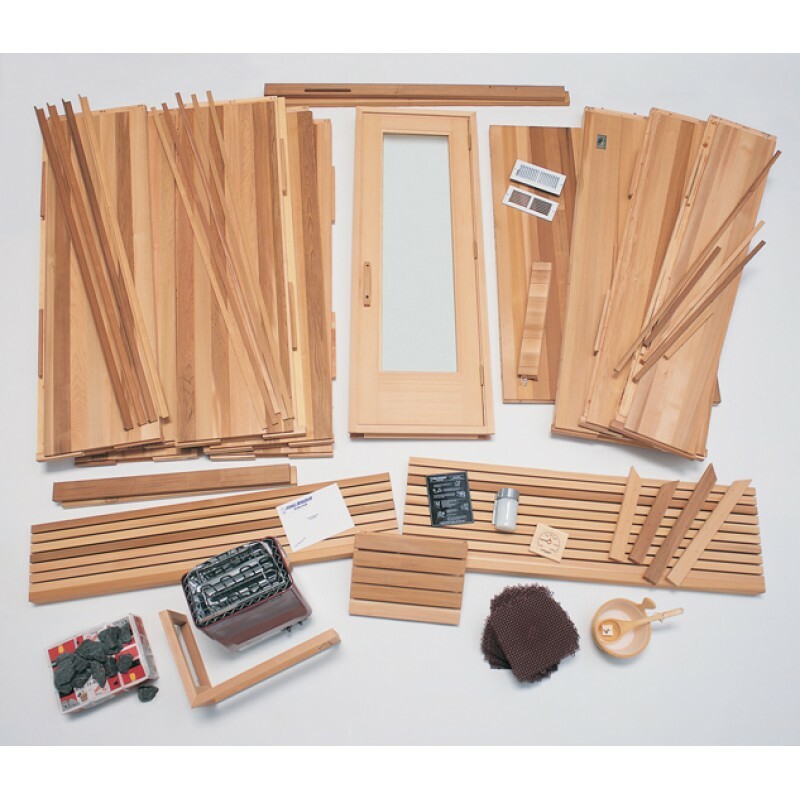 We offer a choice of one of our four clear Western woods for the interior and a choice of Alaska Yellow Cedar or clear Western Red Cedar for the exterior.